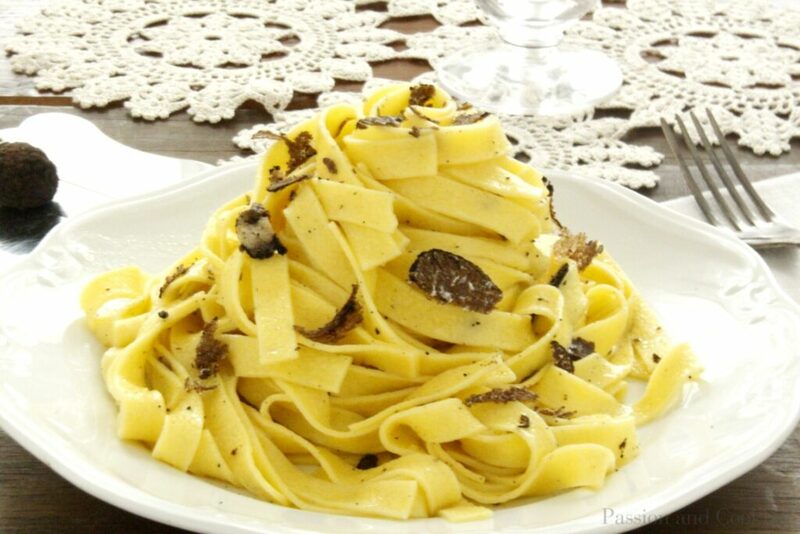 Tagliatelle with truffle is a delicious and elegant dish to prepare on a special occasion, to impress your guests and satisfy your palate. Truffle is a hypogeal (underground) fungus and is one of the priciest foods around. 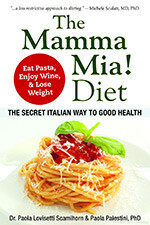 Italian truffles are divided into black (such as Norcia, Umbria) and white (also called Alba or Piedmontese, Piedmont). For example 100 g of white truffle, equal to 3.6 oz, costs about 600 euro, instead the same amount of black truffle costs “only” 100-150 euro. Its name derives from the Latin word tuber, which literally means escrescenza di terra “outcrop of earth”, a name that reminds us, in fact, of its irregular shape. Truffle grows spontaneously in symbiosis with some types of plants and is sought out by dogs specially trained for this task. Truffle is made up of 73% water and is high in protein. It is low in fat and is cholesterol free. Loved since ancient time, truffle was believed to have divine origins. Even the Romans were very fond of truffle. 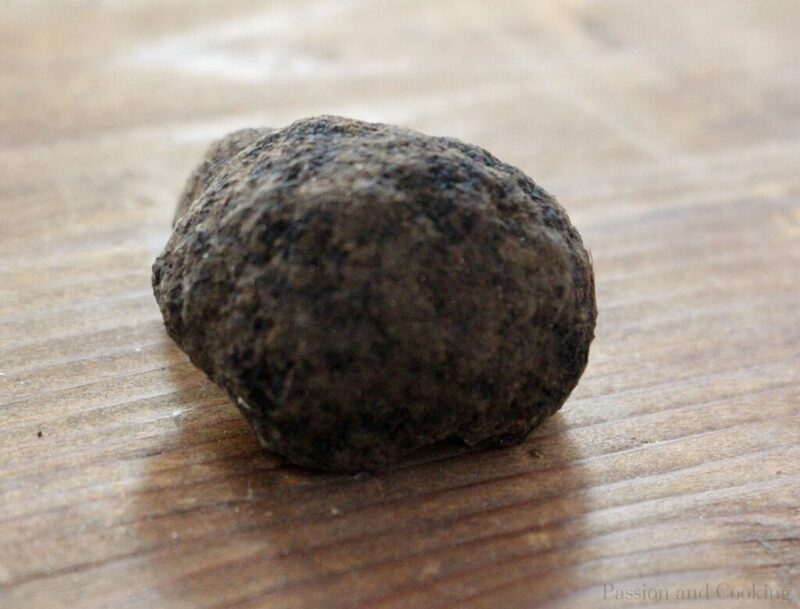 According to one legend, truffle was created by the encounter of rain and thunder. This precious underground mushroom, loved by connoisseurs, is perfect with delicate dishes like risotto or fresh egg pasta (tagliatelle or tagliolini), but it is also tasty with poached eggs or with a succulent fillet of beef. 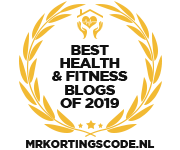 To preserve the precious taste of truffle, however, you should use some care: it is, in fact, a rather delicate ingredient to cook and preserve. The basic rule before cooking is to eliminate carefully all the soil that covers it, and to slice it very thinly, with the appropriate truffle cutter, just a few minutes before serving, to preserve all its fragrance. 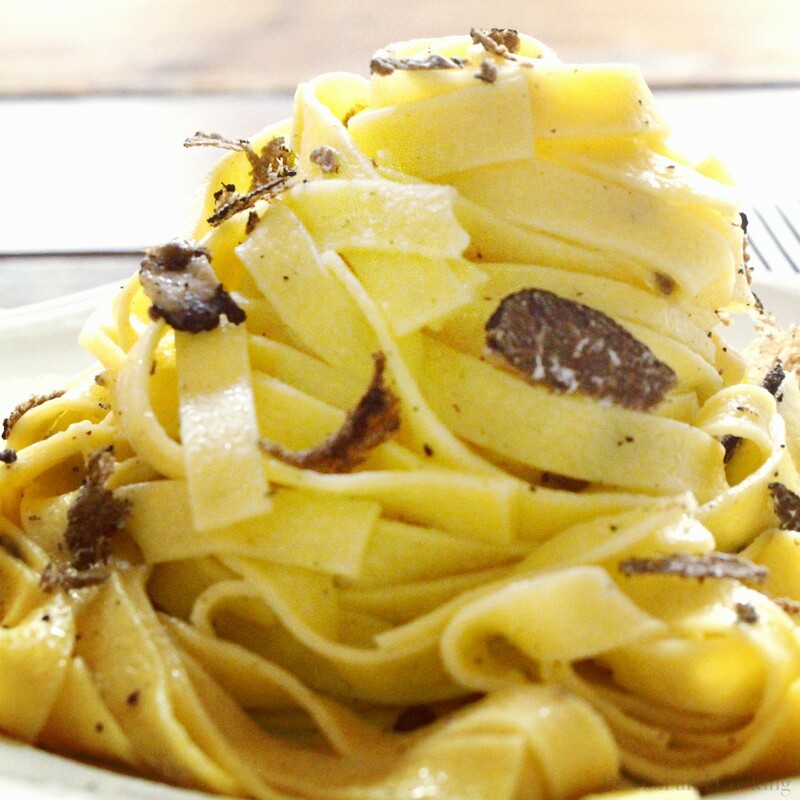 I chose black truffle for this pasta dish, but, if you prefer, you can opt for the white truffle of Alba! 6. Top with plenty of fresh truffle flakes and serve immediately. A very elegant way to start off the new year. Happy New Year, Paola! I have never eaten fresh truffle or know about storing it. Will it only last for a week?